Making sure the inside of your house looks great is a huge part of fully enjoying your Southwest Florida home. But you don’t spend all your time inside. How the outside of your home looks is important as well. It’s what greets you every time you come home. And even when you don’t leave, there’s something soothing and relaxing about being able to enjoy fantastic views from inside your home or from your patio or lanai. Southwest Florida, however, has it’s own climate—and style. And what you choose for your landscaping should keep both of those things in mind. Plants that aren’t native to the area often won’t thrive here. And even those that do can look as out of place as a palm tree in downtown Anchorage. That can be an issue since so many of us who live in the area came from other places—with completely different climates and vegetation. So if you’re thinking your yard may need a little help to “be all it can be,” you may want to do a little bit of research before running down to the nearest big box home improvement store—where you can end up dropping a lot of money on landscaping materials that really don’t work in this neck of the woods. 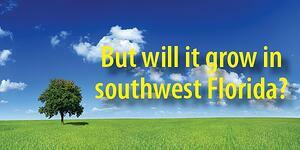 We’ve discovered a site that can be really helpful for homeowners living in southwest Florida. The South-Florida-Plant-Guide is a great resource for all kinds of landscaping ideas. There are sections on palm trees (both large and small), other local trees, shrubs, spreading plants, accent plants, and more. You’ll find both basic facts and more detailed information (even advice about how close to the house you should plant various trees and shrubs). It’s a great resource if you’re new to the area and need information about which plants grow best in the blazing sun and sandy soil of our region (some of which may be completely new to you). It’s also got great tips for those of you who only spend the winters here and need plants that will survive (and thrive) until you return. If you want your home to be a welcoming place indoors and out, get some information about how to find plants that thrive in southwest Florida before you start planting and watering!